Hi, the toothbrush holes are 1.5cm across. Hope this helps! Brighton's bathroom and matches other products purchased and fitted. All look really good. "All good, easy to fit, sturdy. Only complaint is my slightly wide Colgate toothbrush does not fit through the hole so it stands on end, not really a problem but would be good if the holes were slightly bigger." 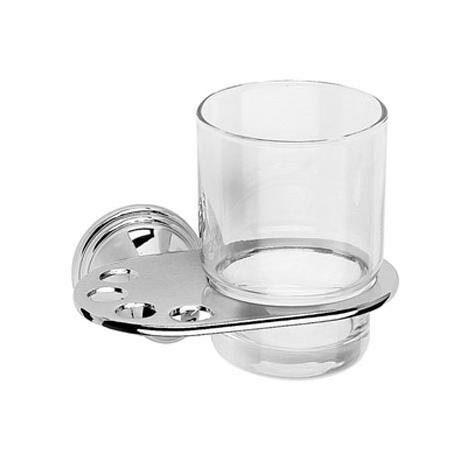 Easy to fit, and looks good quality with lovely chrome finish. Tumbler could be a little bigger but thats because we are trying to put too much into it. Item arrived very well packed up and protected.